Catrina Allen entered the final hole of the 2018 Hall of Fame Classic with a commanding six stroke lead over Paige Pierce. She could treat the formidable 18th hole at W.R. Jackson like the Champs-Élysées stage of the Tour de France — a victory lap — basking in the glow of the assured win and sipping the metaphorical champagne. Save your toasts. Cat prefers to keep the pedal to the metal. Teeing off last, Allen piped a hyzer flip up the gut, significantly outdriving the other women on the card and sticking the uphill-sloping fairway. Following two deft fairway shots, the six-time major champion found herself taking measure of a circle’s edge look for birdie. Putting has been Allen’s bugaboo of late, but her newly revamped stroke looked clean all weekend and she confidently nailed the walk-off bird. Her margin of victory increased to eight following a Pierce bogey. Not quite the shellacking she administered the field in 2017 when she entered the final round with a nine stroke lead and won by 13, but at the end of an uncharacteristically inconsistent season, it was no small feat. It took nearly three months on tour — a timespan roughly equivalent to the length of her offseason hiatus — for Allen to find her form after a bumpy start to 2018. Following a 15th place finish at the GBO and a somewhat lackluster performance at the Nick Hyde Memorial a week later, she won five of her next nine events and didn’t finish outside of the top 3 until returning from Europe for the Idlewild Open in late July. But in a surprise twist, the peaks and valleys of her roller coaster season became more dramatic upon her return stateside, beginning with an eighth place finish in Kentucky. She notched A-tier victories at the Des Moines Challenge and Vacationland Open, but missed the podium at every Major, NT, and DGPT event from July through September. Frustrated with her midseason swoon, Allen took advantage of the time off between the United States Women’s Disc Golf Championship and the Hall of Fame Classic to reboot. A multisport athlete in her youth and a collegiate volleyball player, Allen approaches disc golf like she would any other sport. She’s in it to win it. Her quiet focus and competitive intensity on the course are often misinterpreted as negativity. The “Why don’t you smile more, sweetheart?” brand of sexism runs rampant in the off-color commentary on social media regarding her conduct. Ricky Wysocki, one of Allen’s close friends on tour, has ice in his veins; his steely demeanor and occasional emotional outbursts mark his champion’s pedigree. When Allen exhibits the same traits, she’s chastised for being standoffish, unhappy, or unprofessional. Base aspersions on her character abound. Her performance is paramount to her livelihood, which raises the stakes to consistently finish atop the podium. 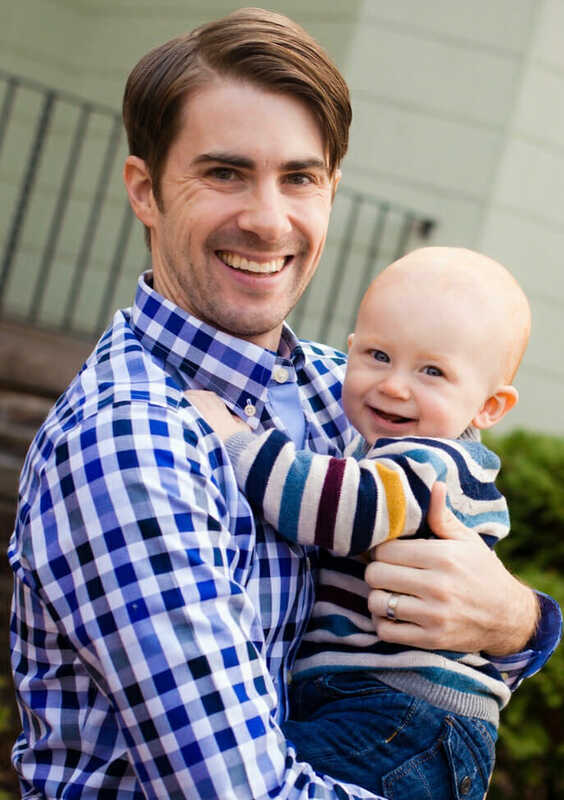 In the FPO division — where four-figure payouts are hardly guaranteed — there is simply less room for error at the top. 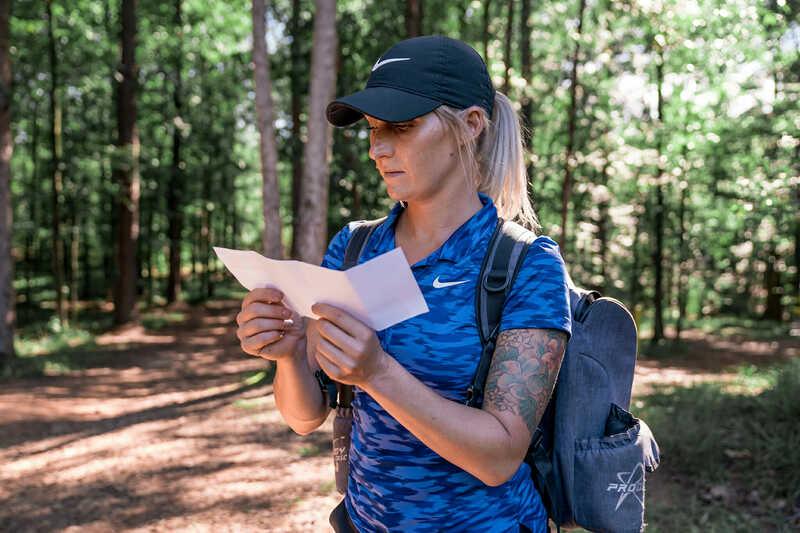 Against these odds, Allen hasn’t needed to supplement her disc golf income with any part-time or seasonal work since signing with Prodigy Disc in 2013. Her commitment to excellence and sustained success on the course affords her that small luxury in a profession that guarantees relatively few. And it is well-earned: Catrina Allen boasts the highest career winning percentage of any golfer currently on tour, male or female. To date, she has won 144 of 270 PDGA-sanctioned, professional fixtures, a 53-percent win rate. Based on Allen’s success, that approach pays dividends. Catrina Allen finished the 2018 season on a tear, winning the Hall of Fame Classic and two A-tiers in Oklahoma. She finished in second place behind Sarah Hokom at the DGPT Tour Championship, but looked like the player to beat. If not for a few missed putts and an unfortunate bogey late, Allen might have completed the post-UWDGC, year-end sweep. Ten days ago, she won the 2019 Maricopa Open by 11 strokes, posting a 1025-rated second round and averaging 986-rated golf for the weekend. Coincidentally, her rating over the course of the past 14 competitive rounds following her “mini offseason”: 986. During that span she carded two rounds rated 951, four points below her current rating, but the rest were 972 or higher. She has four rounds rated over 1000 since the DGPT Championship. Only the Hall of Fame Classic and the Tour Championship tracked statistics with UDisc Live. Notably, Allen averaged 87-percent Circle 1 putting, up five points compared to her season average, and topped the field in C1 and C2 in regulation in those events. The 41st Annual Wintertime Open in La Cañada Flintridge (aka Pasadena) will be Allen’s final tune-up before the Las Vegas Challenge and the start of the touring season proper. 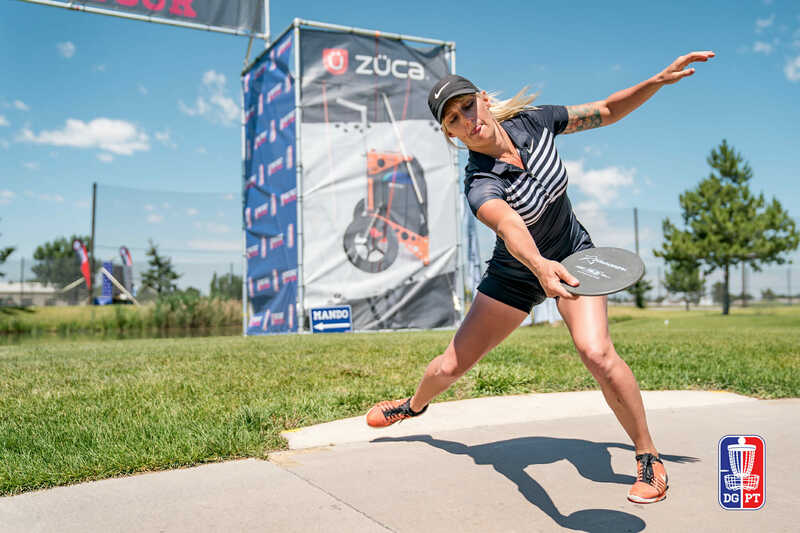 Entering her tenth year as a professional disc golfer, a victory at the storied California A-tier would be a poetic start to her silver anniversary season. Allen last played the tournament in 2011 when she was a rookie on tour, finishing fifth in a field of five. Based on her recent run of play and recommitment to winter training, Allen should be the odds-on favorite to win in SoCal next weekend. We saw what two weeks of practice between events did for her game toward the end of the 2018 season. With a full offseason? Comments on "View From The Top: Catrina Allen Strives For The Summit"